DC Thomson’s ongoing journey to a hybrid cloud has them experiencing the full spectrum of brightsolid’s colocation and cloud solutions supported with a wide range of services. DC Thomson the parent company of brightsolid is also one of our most innovative technology partners. A leading media organisation in the UK, DC Thomson realised very early on the value that cloud services would bring to Scotland, by investing in the Brightsolid brand. They now trust Brightsolid with their production infrastructure, network management, disaster recovery and much more. As a developing organisation with a reliance on ever-growing data, including images and content for newspapers and websites, DC Thomson required an infrastructure that was flexible to support these changing needs. Brightsolid’s cloud solutions provided the answer to this, with infrastructure that is both flexible and scalable to changing requirements. DC Thomson are firmly part of the fabric and history of Dundee and Aberdeen; and Brightsolid’s data centres act as a telecommunications hub for employees, customers and partners in these areas, ensuring that communications are supported by resilient and secure network solutions. Security and risk management are also a key area of focus for DC Thomson. Brightsolid’s Security Services offer a cloud infrastructure with a strong security baseline, including managed patching and antivirus, and a network secured internally at the perimeter. 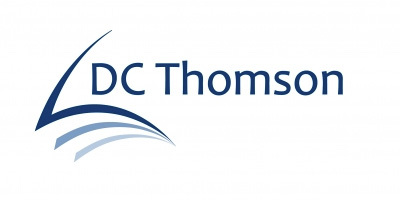 This peace of mind means DC Thomson can concentrate on a new threat landscape with services such as Enhanced Network Protection and Visibility tools and increased layers of email security. Advice and consultancy on new technologies, tools and best practices is also important to DC Thomson, and having a skilled and accredited team within Brightsolid ensures that DC Thomson has access to expertise to guide them as their grow and innovate. Brightsolid has successfully supported DC Thomson on their journey to a hybrid cloud, delivering critical services to 100s of employees, in an industry which has experienced, and continues to experience significant amounts of digital transformation.